Emily Kopp has a big scoop for Kaiser Health News. She has obtained a six page document outlining the draft provisions or objectives of a proposed Presidential Executive Order (EO) on drug prices. She has shared some of the details, but only a few highlights., so the public still has limited information. We don’t know which foreign markets this involves, but one can guess. Who does not already have patent extensions in national law? If the EO is aiming only at promoting US style patent extensions, it will have to aim pretty low, since virtually all higher income industrialized countries already are granting them or plan to do so. The European Union has a directive on “supplementary protection certificates” (SPCs), which extend patent exclusivity for up to 5 years. This is codified as REGULATION (EC) No 469/2009 of 6 May 2009 concerning the supplementary protection certificate for medicinal products, and applies to 28 countries in the European Union, and similar provisions have been effectively exported by the EU to Switzerland, Macedonia, Albania, Norway and other countries. Canada, which recently negotiated a trade agreement with the EU, adopted a SPC regime in 2016. Australia, Japan and Korea have adopted laws providing for patent extensions up to five years. Article 18.46 of the Trans Pacific Partnership Agreement (TPP) requires patent extensions as well. The United States has negotiated a large number of bilateral agreements, such as the CAFTA-DR agreement with the Dominican Republic, or the US Morocco agreement, and nearly all of these include patent extension requirements. Korea and Japan are seeking patent extensions in the Regional Comprehensive Economic Partnership (RCEP), a trade agreement being negotiated between 16 members in the Asia Pacific region, including for example, Japan, Korea, Australia, New Zealand, China, India, Indonesia, the Philippines, Thailand, and Malaysia, as well as very poor countries like Vietnam, Myanmar and Laos. The are handful of middle income developing countries, like Brazil, Argentina, Turkey, and many low income countries, particularly in Africa and Central America, which don’t grant patent extensions, and these are likely to be targets. But the Trump EO will probably not stop at patent extensions, and will also continue to press countries to lower standards for granting patents (so more patents can be granted on the same drug), restrict the use of compulsory licenses, press for extended test data protection, including 12 years for biologic drugs, and attack the efforts of countries to negotiate lower prices. In fairness to Trump, all of these measures were pursued vigorously, originally to a somewhat lesser extent, but ratcheted up every year by every U.S. President since Ronald Reagan, including Presidents Clinton and Obama, as documented by the USTR in its annual Special 301 Report (A complete set is available here: https://www.keionline.org/ustr/special301). Anything that expands or extends monopolies on drugs and vaccines makes access more unequal. Let’s start with low income countries. From 2010 to 2016, the US FDA approved 56 novel cancer drugs, an astonishing wave of innovation, including game changing drugs like T-DM1, for HER2+ breast cancer and radically better treatments for melanoma and many other cancers. Of these, ZERO are included in the WHO list of essential medicines, because they are too expensive for countries with limited resources. Now consider Europe. A recent study by EY Poland of 30 important cancer drugs found that only 2 of the 30 were routinely available for reimbursement in Poland and the Czech Republic, while 30 of 30 were routinely reimbursed in the Netherlands, and 28 of 30 were reimbursed in Switzerland. In the UK, just half were routinely reimbursed. The 2016 ESMO European Consortium Study on the availability, out-of-pocket costs and accessibility of antineoplastic medicines in Europe provides additional evidence of the vast disparities in access among 48 countries in greater Europe and Central Asia. These disparities of access (which are no fault of the patients) are the predictable consequence of policies that deliberately raise drug prices and strengthen monopolies, to the point where health programs let people die or suffer, in order to save enough money to fund other health program needs. Where is the United States’ self interest? Okay, suppose you think unfairness and unnecessary suffering and death is not a problem when it happens to foreigners. (This is the apparent mindset of people like Trump and drug company adviser Robert Shapiro). Trade policies that promote strong monopolies in foreign markets also lock-in strong monopolies in the U.S. market. It’s not impossible, but it’s hard to have it both ways. If the U.S. puts 12 years of monopoly rights in biologic drug test data in a trade agreement, with no exceptions, then it’s harder for the U.S. Congress to change our law. PhRMA knows that. We know that too. Countries that are asked to provide broader, stronger and extended monopolies on drugs will ask for something in return. This is a trade. We ask a country to let their breast cancer patients suffer and have premature deaths, and they may say yes, but also ask the United States for market access agreements that will hurt businesses and workers in the United States. When you ask for something very painful, you will end up with some pain in return. Quid pro quo means, something for something, so its important to ask, what’s that something we give up on our end, and what is the effective exchange rate in terms of good jobs? U.S. patients won’t have the option of traveling abroad to get an affordable treatment, such as for hepatitis c drugs, if the foreign markets for affordable drugs, including but not limited to India, are all shut down. Given the prospect of less and less insurance coverage, this isn’t a trivial issue. Note that today high income countries like Italy and Switzerland are encouraging patients to obtain cheaper generic drugs from abroad, when prices are excessive at home. This won’t work when prices are high everywhere. The White House has to realize that many drugs are owned by foreign companies, like Roche, Novartis, GSK, AstraZeneca, Bayer, Astellas, and Sanofi — companies heavily subsidized by the NIH, BARDA, CDC, WRAIR, the Department of Veterans Affairs and other US taxpayer supported agencies, that often charge US residents more than patients in their home countries. In the process of fattening the wallets of foreign owned companies, higher prices will lead to U.S. residents sending more money out of the country. Do high prices in foreign countries lead to lower prices in the United States? On the contrary, every time the global, regional or bilateral norms for IPR protection on drugs goes up, so have drug prices. And, why would drug companies lower them? There are fewer places to obtain cheaper versions of drugs. The VA reference pricing schemes are undermined. As the monopolies get stronger internationally, they get stronger here too. The Trump administration should distance themselves from the crowd of big pharma lobbyists and enablers, stop trying to copy or extend the Obama Administration policies on trade, and try something new, something that would actually benefit the people living in the United States. The focus on global negotiations should be to get foreign governments to do more to fund R&D, not just via high drug prices, which is an incredibly inefficient mechanism when you compare global R&D outlays to global revenues (even less efficient when you adjust declared R&D outlays for such items as asset acquisition costs, which are themselves inflated by expected prices for products). There are many areas of low hanging fruit to address the free riding issue. 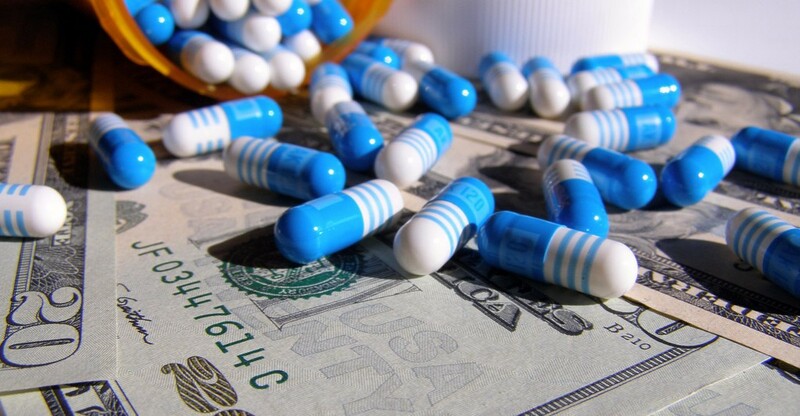 Let’s start with the Orphan Drug Tax Credit, a 50 percent subsidy for clinical trials. 75 percent of the 56 new cancer drugs approved by the FDA from 2010 to 2016 qualified as Orphan products. Only the United States incurs the cost of this tax credit. Germany pays nothings. Japan pays nothing. Canada pays nothing. China pays nothing. Why not expand the tax credit to a wide class of qualifying trials, but also have other countries share in the cost? If trials were subsidized more widely, then company net R&D costs would be lower, and countries could actually lower drug prices without hurting innovation. What about engaging in negotiations for R&D funding agreements, and leverage our investments in public goods through the NIH, with more public goods spending in foreign countries? The United States is paying for the R&D and training the workforce for all of Europe and Japan’s leading pharma companies. Why not insist on more public sector funding of R&D from our trading partners? Obama opposed these negotiations because he was in the pocket of big pharma. Be different from Obama on this, don’t copy him. How about going further, and exploring the feasibility of progressively de-linking R&D funding, including incentives, from drug prices, so everyone can get access to the drugs that are medically effective and appropriate for them? (more here: http://delinkage.org) Why not embrace the ideas of the future instead of doubling down on the drug company lobby wish lists that have created a dysfunctional and health threatening business model that pits innovation and access against each other? Finally, look ahead, and in particular, look at the demographic changes facing the United States and other countries. This is a recent estimate by the United States Administration on Aging (AoA). The older population — persons 65 years or older — numbered 46.2 million in 2014 (the latest year for which data is available). They represented 14.5% of the U.S. population, about one in every seven Americans. By 2060, there will be about 98 million older persons, more than twice their number in 2014. People 65+ represented 14.5% of the population in the year 2014 but are expected to grow to be 21.7% of the population by 2040. Cancer and many other illnesses are correlated with age, and older people often don’t participate in the workforce. Other countries are confronting the same demographic shifts, due in part of the benefits of better health care and diet, and a safer world. However problematic high drug prices are today, they are becoming even less acceptable and sustainable.